A good contact lens fit starts with a thorough eye exam at Texas State Optical in Texas City to ensure the most up-to-date prescription and rule out any pre-existing conditions that could interfere with contact lens wear. 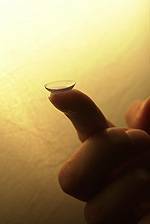 To schedule your contact lens fitting in Texas City, click here. We're only a few minutes away from Galveston and La Marque.